Eight horse racing professionals have been found guilty of doping offences in what has been called the biggest scandal to hit the sport in Australia. A tribunal found the five trainers and three stablehands had given banned race-day treatments to horses before more than 100 races. It had involved “a litany of brazen attempts to cheat” over a seven-year period from 2010, the tribunal said. The trainers and stablehands face fines and lengthy bans from the sport. 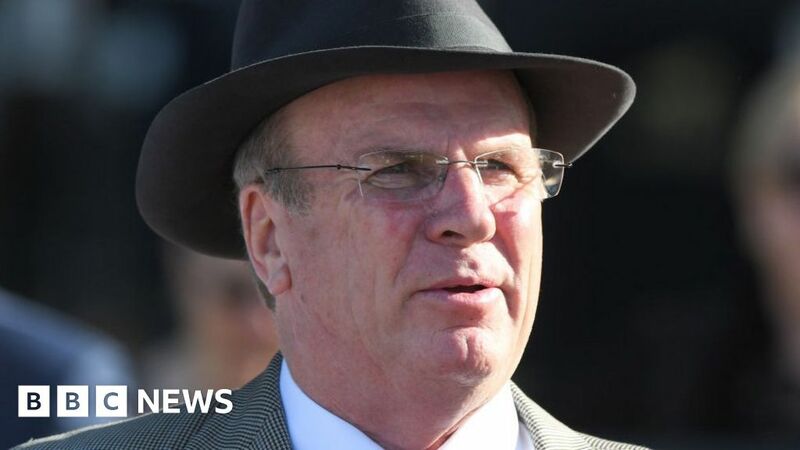 The eight – trainers Robert Smerdon, Stuart Webb, Tony Vasil, Liam Birchley and Trent Pennuto, and stablehands Daniel Garland, Greg Nelligan and his wife Denise Nelligan – were all linked to the now-defunct Aquanita Racing stable. They faced a total of 271 charges at a racing tribunal in Victoria. None of the eight had pleaded guilty. Victoria’s Racing Appeals and Disciplinary Board said the case “involves probably the biggest scandal and the most widespread investigation in the history of Australian racing”. The tribunal found the group had regularly dosed horses with a banned mixture involving sodium bicarbonate, or baking soda, before top-level races. The alkaline mixes, known as “top-ups”, were used to reduce the build-up of lactic acid in the horses, allowing them to run for longer without tiring. Racing Victoria launched an investigation in October after Greg Nelligan was caught inserting a syringe into the mouth of a mare, Lovani, before a Group 1 event at Flemington Racecourse in Melbourne. Authorities then found more than 1,000 text messages on Mr Nelligan’s phone that implicated Smerdon, Webb, Vasil, Birchley, Pennuto, Garland and Denise Nelligan. “The Aquanita case represents one of the darkest and longest chapters in the history of the Australian turf,” the board wrote in its decision. Penalty submissions for the group will be heard on Thursday.